4'10 x 17.75" x 2" 20L is best for kiters < 160 lbs. 5'1 x 18.5" x 2.25" 24.5L is best for kiters 150-190 lbs. 5'3 x 19" x 2.375" 27.4L is best for kiters > 180 lbs. 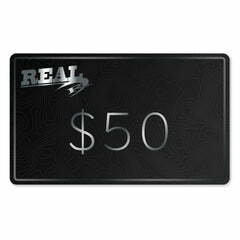 Everyone that has tested this board at REAL loves it. 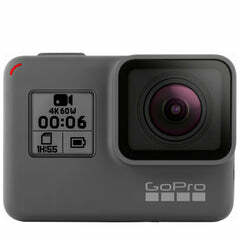 It comes in three tasty little sizes that you can ride too big or too small for your weight, and you will still love it. When you take out the 4'10, it feels like you have the maneuverability of a twin tip. Take out the 5'3 and you have a light wind wave riding weapon. All three sizes are a blast for any size rider. The Evo is crazy stable. You feel completely in control with this board under your feet. Learning to tack or jibe on this board is really easy because of the stability. 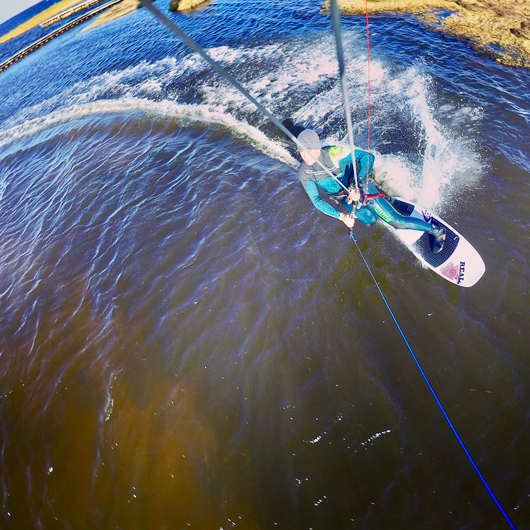 The centered wide point and fuller nose and tail are why the Evo has unmatched kitesurf board stability. We thought that the fuller shape would make the Evo bouncy on chop, but we were completely wrong. The centered double concave gives the board just enough lift that it feels like it glides right through the rougher waters. It also breaks the chop up as you ride over it. The tail has a crazy quad concave coming off of it. This adds a ton of rocker to the tail, so when you push hard on the tail it rips a turn on the rail. We are so stoked with how well it turns. There is no bounce or stall in any of the turns. It just glides through the turn with ease. 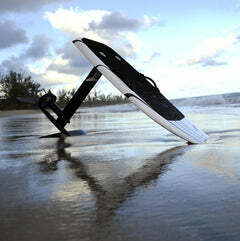 In the surf the Evo is a beast and again surprised us with how much fun it is. 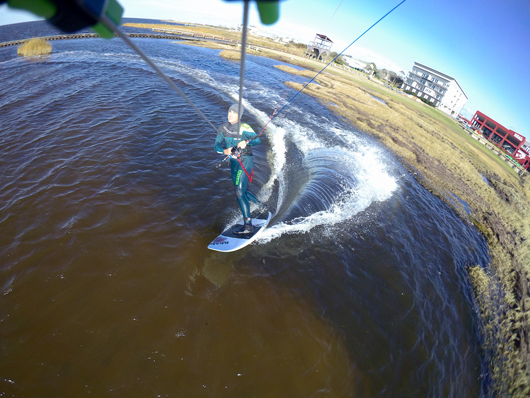 You can get going on the Evo with less power than the Vader so you can size down your kite and really surf the wave. The Evo sits right between the Vanguard and Vader in the performance perspective. 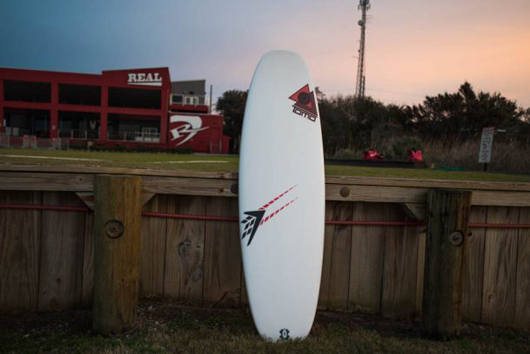 The Vanguard is more of a straight line cruiser and the Vader has some more whip in the turns on steeper waves. 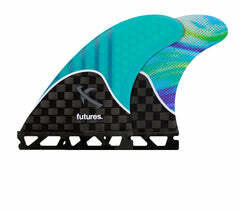 Firewire has made the Evo in a more durable FST Kite construction. This uses the same aerospace materials and balsa rail as standard FST with more durable glass to make it strong enough to kite. 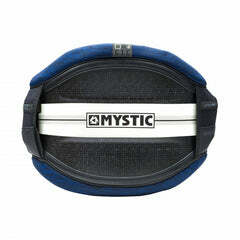 These additional materials add cost to the FST Kite construction and brings the price higher than standard FST. The additional materials make it a little heavier which helps the board stay on the water through chop. Picking your size Evo can get a little confusing since they all ride really well even if they are oversized or undersized. In addition to the size chart above use these tips for picking the right size for you. 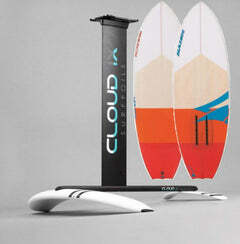 If you want this for light wind and small waves then size up. For airs and more of a twin tip feel size the board down. 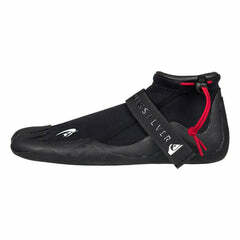 For all around wave and flat water riding, take the one that suits your weight range. The Tomo Evo is designed to be ridden significantly smaller(6-10" smaller) than your standard pointy nose kitesurf board since it has a Modern Plaining Hull (MPH) design. This board is a riot. You can't stop laughing and smiling when you are riding this board. It instills confidence and will have you trying new things on a surfboard that you didn't think you were capable of. 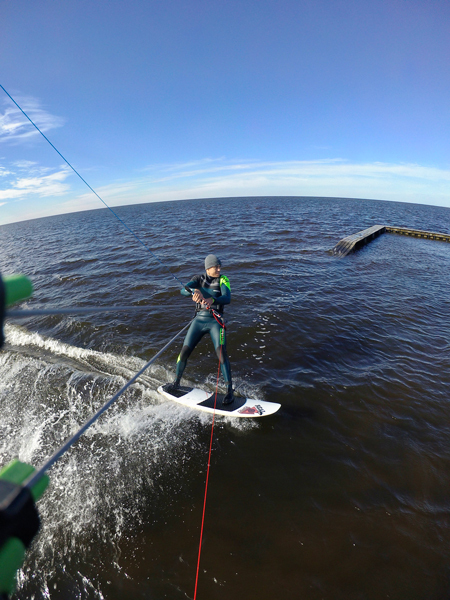 Get the Evo and you will become a better kiteboarder. 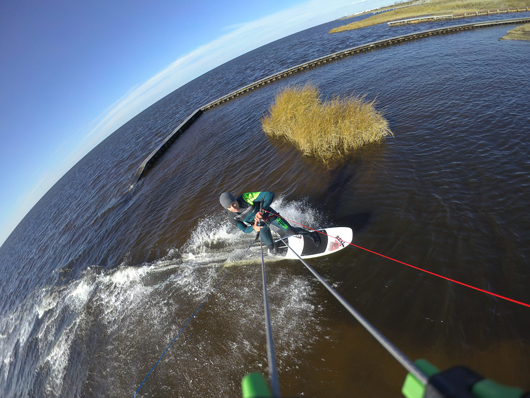 The Firewire Tomo Evo Kiteboard has the perfect blend of user friendliness and wave ripping capabilities. This board sits nicely in the middle of the Vader/Vanguard performance spectrum.